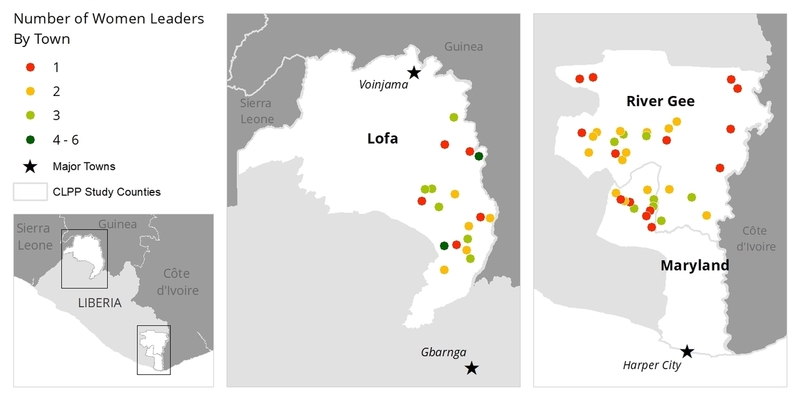 USAID’s E3/Land and Urban Office, Namati and the International Development Research Centre jointly funded a rigorous midline evaluation of the Community Land Protection Program (CLPP) in rural Liberia. While previous research has focused on the effects of individual land titling programs, there is little quantitative evidence of the effects of supporting communities to protect and govern their own community land. This evaluation fills this knowledge gap by investigating the effects of CLPP on improving resource governance, tenure security, community empowerment and livelihoods. Developed by Namati and funded by the United Kingdom’s Department for International Development, CLPP is a global program that seeks to empower communities to successfully protect their community land rights. In Liberia, the CLPP was implemented from 2016-2017. The midline evaluation used a set of matched comparison communities together with baseline and midline data for 818 households in 57 communities spread across three counties. The midline evaluation of CLPP looked at both mid-term and long-term outcomes to detect any mid-term results and to track progress toward long-term results, consistent with CLPP’s theory of change. Midline data collection occurred before all the program stages of the CLPP implementation had finished. The percentage of communities that completed each stage of the CLPP’s activities at midline data collection is presented below. Communally managed land and natural resources provide an essential input into communities’ social, political, and economic sustainability in developing countries, particularly in agrarian societies. 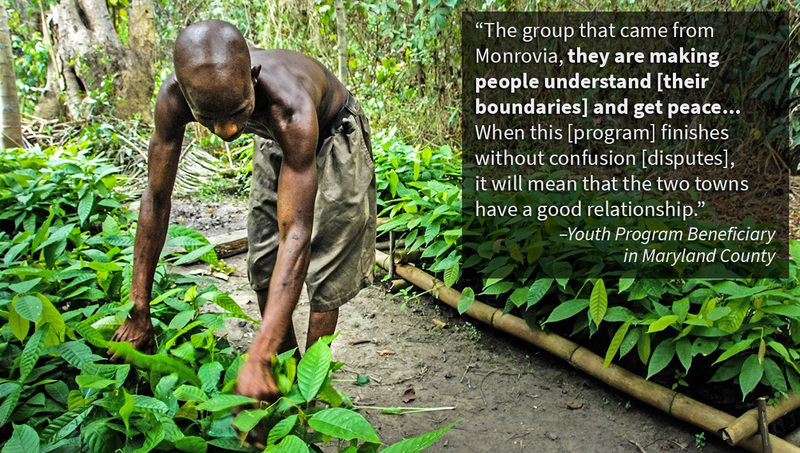 Many communities in Liberia and throughout the developing world use unwritten rules and norms to manage this community property. Since they generally lack official documentation, they are disadvantaged in the face of legal norms that protect land rights based on the possession of formal written records. 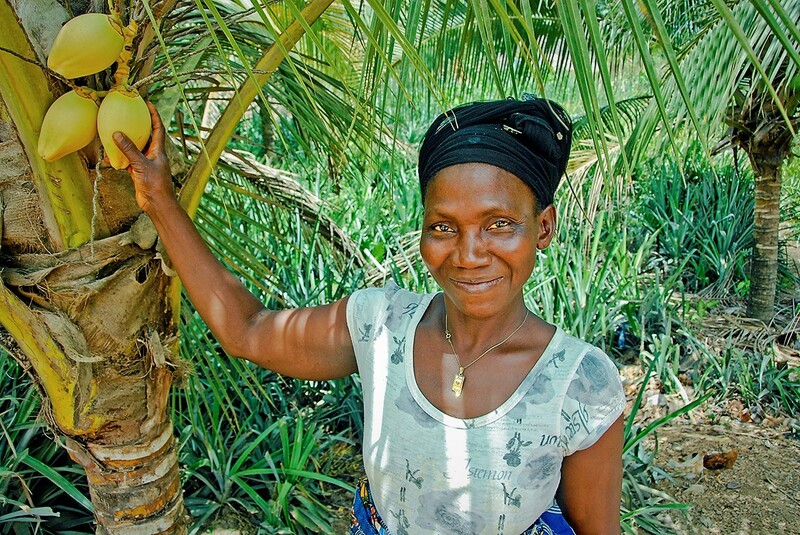 In Liberia, communities are increasingly pressured by international and domestic investors and the national government due to the demand for land and natural resources. Since the late 1960s, several African nations have passed laws that recognize and support the central role of communal tenure in rural land administration and management. In some instances, communal land rights have received the same standing as state-issued land rights and included the integration of customary rules and dispute resolution bodies into the national formal system. This trend is also evident in Liberia, where new land reforms provide a potential legal framework for protecting community land. Two land and property rights issues need to be definitively addressed as Liberia proceeds with post-conflict reconstruction. The first is the issue of the legal status of customary land rights, and the second is the issue of ownership of trees and other forest resources on community forest lands. Key reforms undertaken by the Liberian Government put it on the right track to resolving these issues: the establishment of the Land Commission (2009) and Land Authority (2017) to settle the question of customary land rights, and the enactment of the 2009 Community Rights Law, which returns ownership of forest resources to communities and adoption of the Land Rights Policy (2013). Lead to conservation and sustainable natural resource use. The CLPP midline evaluation used three primary sources of baseline and midline data from 57 communities including household surveys, community leader surveys and focus group discussions. As shown below, the three counties included in the study are Lofa, River Gee and Maryland counties. Baseline data collection took place prior to the start of program activities in 2014 and midline data collection occurred in 2017. The CLPP evaluation was initially designed to study 90 communities. However, funding constraints and the Ebola outbreak prompted the implementing organization to reduce the number of communities involved in CLPP in 2016. Due to these constraints, midline data was only collected in a subset of the original CLPP communities. Accordingly, this evaluation is based on this limited sample. If available, additional resources for future program implementation and an endline evaluation will present a valuable opportunity to study the long-term effects of the CLPP activities across the original study area. For more information about the evaluation design, see the CLPP Pre-analysis Plan. 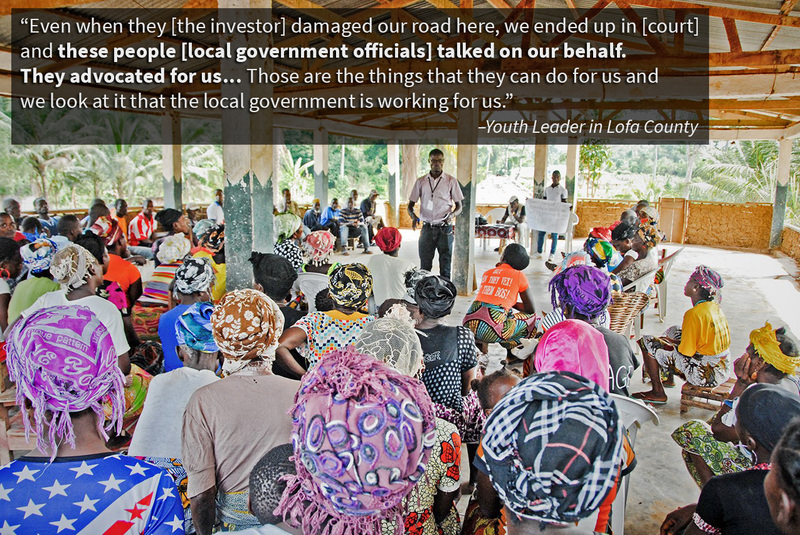 The most important authorities for land and natural resources across rural communities in Liberia are elders and traditional landlords. While these customary governance structures are often not inclusive or democratic, baseline results indicated that 67% of community members felt their leaders were trusted and honest. Despite this relatively high satisfaction with community leaders, some community members were divided in their perception of their leaders. 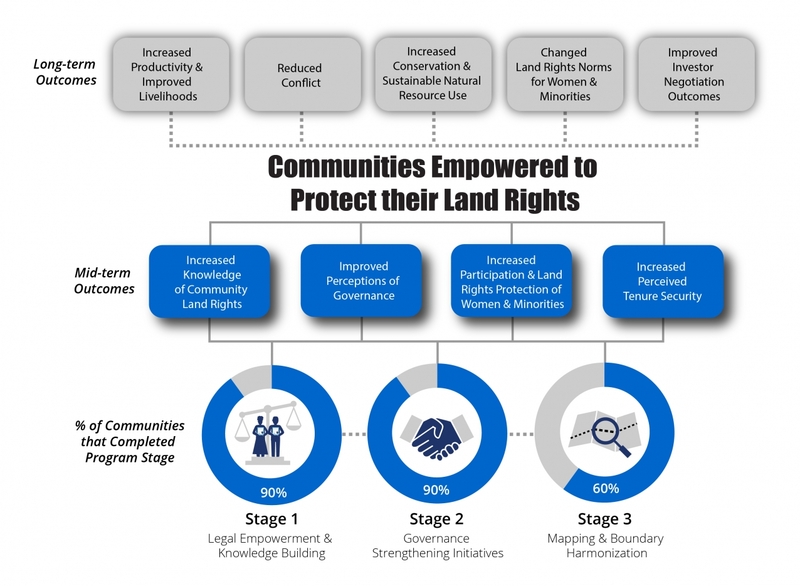 Community members indicated that they believed their leaders were involved in illegal activities regarding community property (31%) and that they made land use decisions that favored traditional landlords or elders (45%). While this last finding is consistent with customary norms, these decisions may come at the expense of more vulnerable groups. Baseline results indicated that respondents were divided on their knowledge of community property rights. 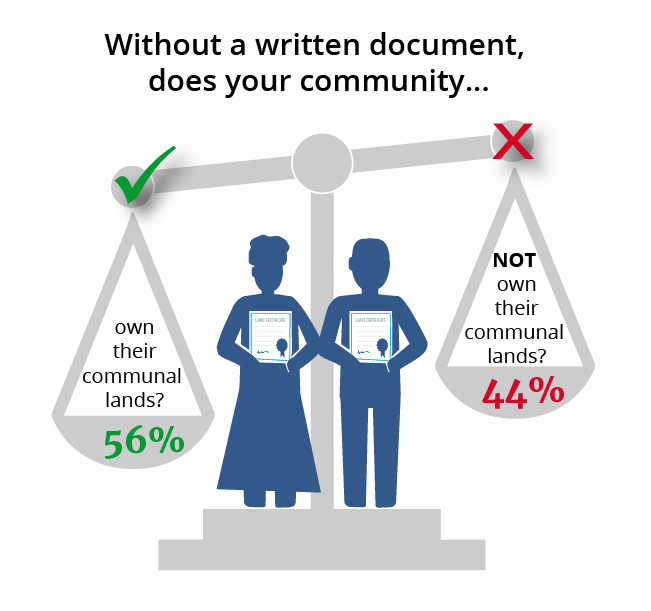 Forty-four percent incorrectly stated that without a written document, the community did NOT own their communal lands. 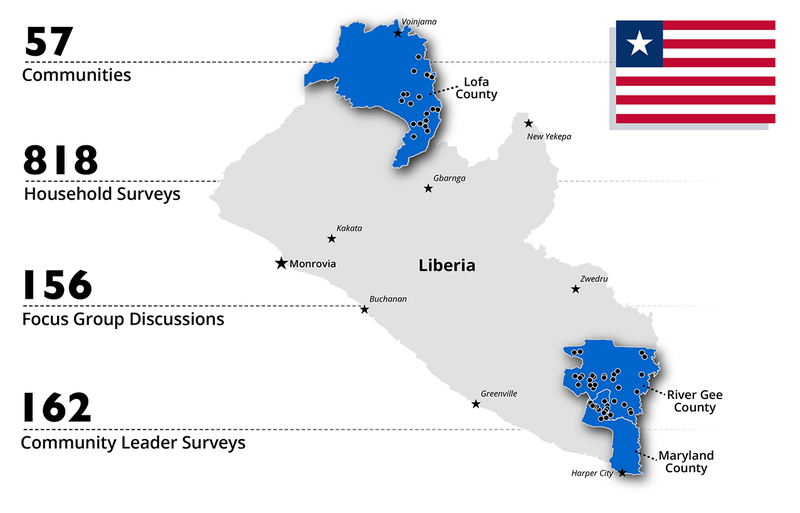 Additionally, 54% of respondents stated that the Government of Liberia owns the community’s land and natural resources. Given the current interpretations of Liberian law and policy, it is the community and NOT the government of Liberia that owns a community’s land and natural resources. These findings confirmed that additional legal knowledge through CLPP could help community members more effectively claim their rights. Baseline findings also suggested that respondents were aware of threats to tenure security, largely due to unresolved boundary disagreements with neighboring communities. Approximately one quarter (24%) of community members stated that it was likely that neighboring communities would encroach on their land in the future and almost half of community members (43%) stated that they could only identify some of the boundaries of their community land. For more information about baseline findings, see the CLPP Baseline Evaluation Report. The evaluation found that participation in CLPP is positively associated with perceptions of improved local land governance. As seen in the graph below, households in communities that participated in CLPP activities show a significant increase in their satisfaction, perceived accountability, capacity, and transparency of leaders. While evaluation findings show that households in CLPP communities are significantly more likely to participate in the creation of land rules, household participation levels in enforcing land rules fell across both households in CLPP communities and comparison communities. The reason for these observed decreases in community participation in rule monitoring and enforcement could be that leaders were completing these tasks themselves more effectively, people were following the rules more (necessitating less enforcement), or that the program emboldened community members to oppose laws they consider ‘bad’. There is strong qualitative evidence that CLPP’s boundary identification activities increased community members’ knowledge of community land boundaries. However, there are no statistically significant results in the survey data. To assess tenure security, the evaluation measured household perception of encroachment on communal land across a variety of actors (neighboring households, neighboring clans, elites, investors, and government officials). The evaluation does not find clear evidence that CLPP had an impact on perceived tenure security or prevalence of land conflicts in the 10 months since the program began. One possible explanation for the lack of improvement on tenure security indicators might be that the program has not yet completed its activities. A descriptive analysis for tenure security trends for communal land shows that fear of land expropriation by neighboring households and clans has decreased over time, but decreased more dramatically in comparison households versus CLPP households. This result is likely due to the program reviving a discussion of dormant land disputes and alerting community members of potential risks. If so, perceived tenure security may improve once the boundary harmonization processes are complete. Additionally, fear of encroachment by elites and investors increased in both CLPP and comparison households, but this change is NOT statistically significant. Concerns about elite or investor encroachment may stem from ongoing uncertainty around the status of the Land Rights bill. Although no concessions are operating in the study area, the lingering impact of large scale-land acquisitions in recent years may also play a role. Overall, the contradictory findings on the impacts of CLPP on tenure security perceptions indicate that evidence on this outcome is mixed and inconclusive. Evaluation findings show an increase across both CLPP communities and comparison communities in their knowledge of formal laws related to women’s inheritance. While women in CLPP communities are more likely to report that they attended a land meeting (68%) compared to women in comparison communities (57%), their overall decision-making authority is still limited. When households and leaders were asked to rank decision-making power by a variety of community members, women ranked far lower than other groups. Though women showed a small trend upward from baseline to midline, there was no significant difference between CLPP households and comparison households. 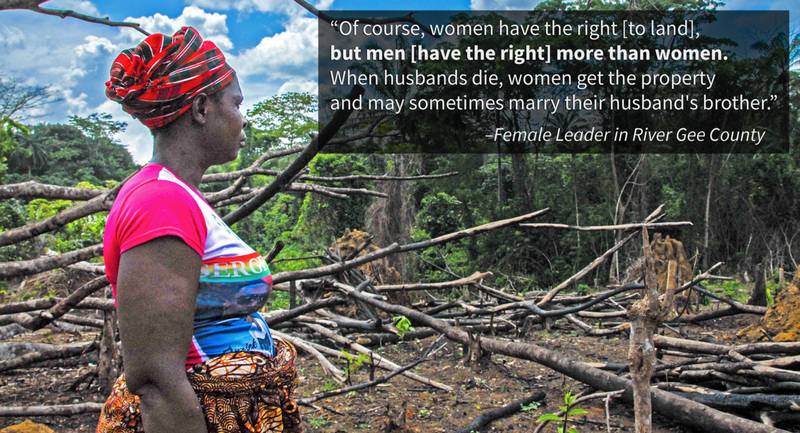 In addition to increased participation and knowledge about women’s land rights, CLPP’s theory of change includes a shift in gender norms. Without changes in norms, increased knowledge may not be sufficient to change behavior or outcomes. The evaluation used a survey experiment to test whether highlighting the women’s rights component of legal reforms affects a respondent’s support of the reform. Results indicated that respondents were less likely to be supportive of land reform if they were told that reform would involve giving women equal rights to inherit, own, use and sell land in their community. Overall, support for land reform in either scenario is still very high. Given the difficulty in effecting gender norms, changing the gender balance of leadership positions will likely be a difficult barrier to overcome. The evaluation finds no change in the number of women serving in community leadership due to CLPP. The geographic distribution of women in leadership positions at midline is shown below. Additionally, while male and female leaders expressed initial support for women’s equality, they later qualified their responses with a series of restrictions on women’s inheritance requirements, such as the requirement that women must have had children or marry her husband’s brother. All photos by Kate Cummings / The Cloudburst Group.